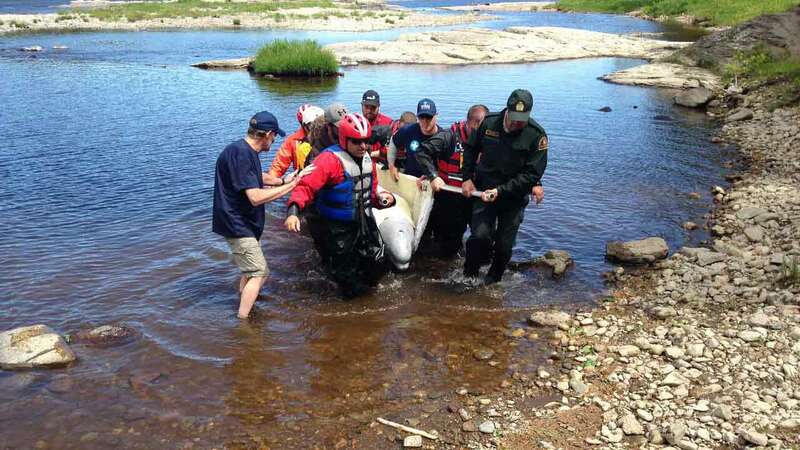 CHICAGO (WLS) -- A team from the Shedd Aquarium helped to rescue and save a stranded beluga whale in Canada. Thursday a team of 20 researchers, biologists, and scientists found the young whale hundreds of miles away from its herd. 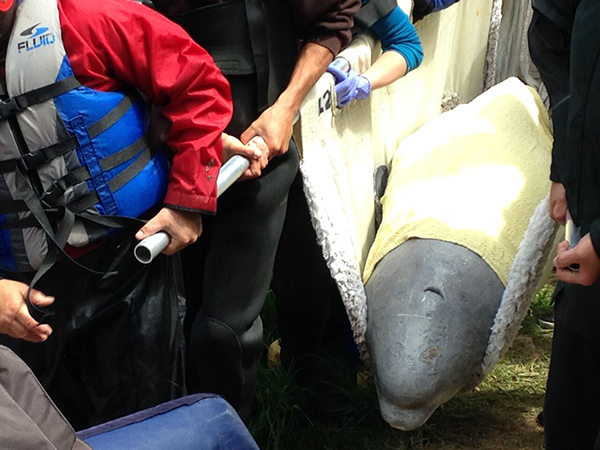 The team coaxed the whale into a sling using an acoustic deterrent device and carried him from the river. He was then taken to the airport by truck and flown to Quebec. Shortly after, the rescued whale was seen socializing with other young beluga whales. "It was a bold plan, and not without some risk," said Shedd Aquarium Executive Vice President of Animals Tim Binder about the rescue effort, which was led by Fisheries and Oceans Canada (DFO) and GREMM (Group for Research and Education on Marine Mammals). "We believed this animal to be a member of the endangered population, which means every individual is significant to the group's overall sustainability and survival, so we knew we had to respond quickly by lending our expertise and resources on the ground." The whale has been fitted with a satellite tag so scientist can monitor the success of the rescue and relocation effort.